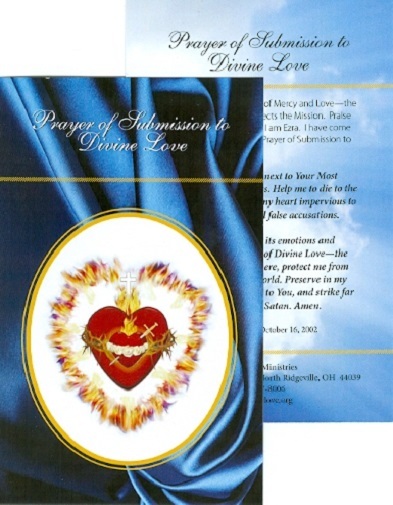 Jesus asks us to repeat the Prayer of Submission to Divine Love each day. Color Complete Image of the United Hearts appears on the front with the "Prayer of Submission to Divine Love" on the back. 4-color image on the front. 2-sided. Size: 3.5 x 5.5 in.